I think we can all agree that this is an extremely tough issue with very passionate people on both sides. I have listened to the people that I represent, and though they may not all be shouting at a town hall meeting, the majority of folks who have emailed and called my office over the last few months have been against the expansion of Medicaid. This isn’t just true of the voters in the Shenandoah Valley. Christopher Newport University just conducted a poll that was released last week that showed us that statewide 53% of voters oppose Medicaid expansion. Even in the more liberal-leaning Northern Virginia only 49% of voters indicated their support for expansion. So although opposition for expansion may have been the majority opinion of the people in the room last night, the evidence suggests that it is not the majority opinion of Virginia voters. I think we can all agree that something needs to be done to increase access to healthcare for low income individuals. As a legislator, however, I feel that it is my responsibility to consider the long-term impacts of our actions. This is no different on the issue of Medicaid expansion. While it may be tempting to take the federal money now, I believe it is irresponsible to do so without considering the long-term costs and implications to the Commonwealth and its citizens. For that reason, I have consistently supported the work of the Medicaid Innovation and Reform Commission (MIRC). Medicaid is the fastest growing single expenditure in Virginia’s budget. For this budget biennium, the current Medicaid program (without expansion) will cost Virginia an additional $674 million. I feel that the MIRC should be allowed to complete their work of determining what reforms can be implemented to improve the level of care for current Medicaid beneficiaries and curb the significant cost increases.. Medicaid is also unfortunately wrought with waste, fraud and abuse, and I believe we would be doing a disservice to both current and future enrollees of the Medicaid system if we were to expand without first reforming the system. Regardless of one’s views on expansion, I believe it is wrong for disagreement on one issue to hold hostage funding for teachers, public safety personnel, local governments, and other core government services. It is wrong to use the budget as a bargaining chip to advance a political agenda. For that reason, I believe we should separate Medicaid expansion from the budget process. The current Medicaid language in the Senate budget is language only, and does not include appropriated funding. For that reason, it could easily be decoupled from the budget. Governor McAuliffe would still have the authority to call a special session further down the road to debate the expansion on its own merit. The House of Delegates has expressed its willingness to return to Richmond for a special session to debate Medicaid Expansion, and I think that given the importance of this issue and the number of people that are potentially affected by this decision, it would be appropriate for us to do so. 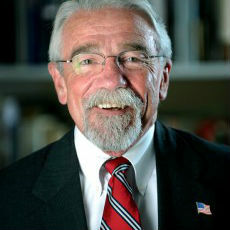 Dickie Bell represents the 20th House District in the Virginia House of Delegates.